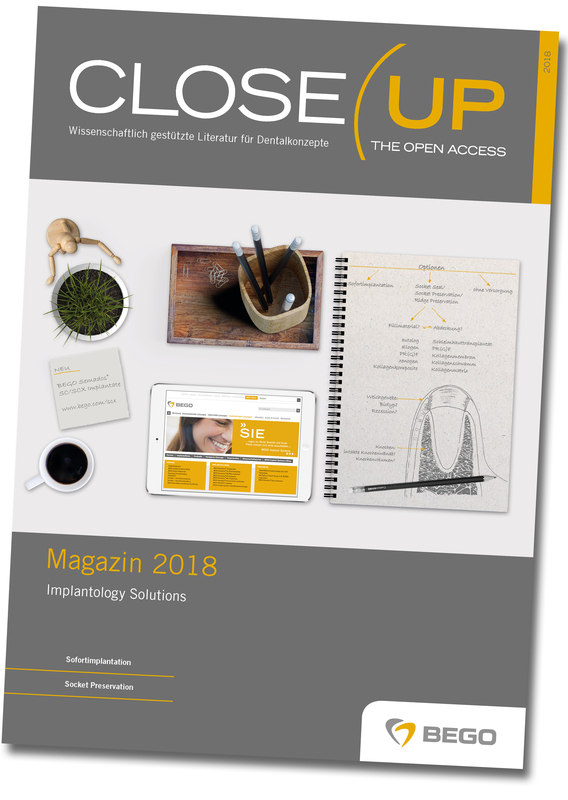 In addition to articles about immediate implant placement and the options for socket preservation, specialist topics in the current 2018 magazine include the properties and possible uses of collagen sponges in implant dentistry. Descriptive case studies demonstrate the practical and successful use of therapeutic concepts. A new addition to the magazine is a look at BEGO Implant Systems from the people who work in the company. The new Insight/Inside section opens a dialogue and reveals the collaborative side of the Bremen company. The storyteller competition seeks out anecdotes and pearls of wisdom such as the story about the first treatment with dental titanium implants and the appearance of the Star Trek universe. 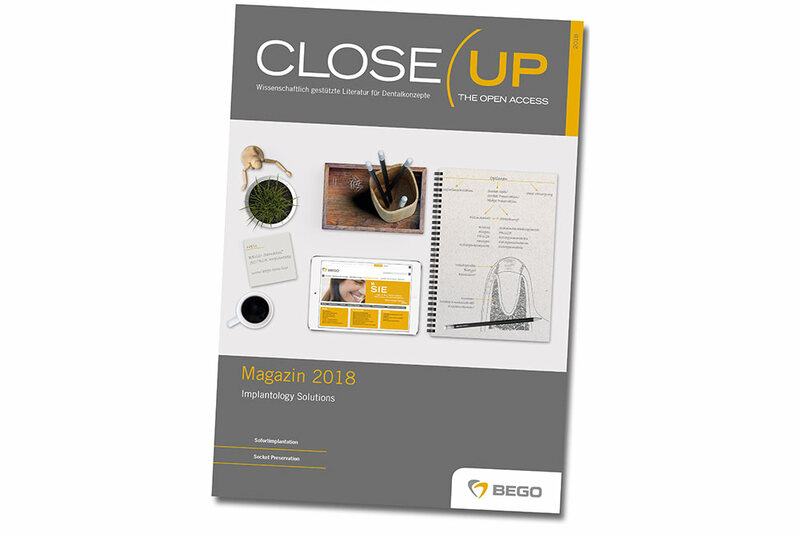 Close Up magazine can be ordered free of charge by accessing the PDF in the knowledge portal of BEGO Implant Systems at www.bego.com/closeup.